Sep 20, 2016 in "Bodh'aktan"
Epcot's Canada Pavilion will be home to another guest musical group later this year - Bodh’aktan. 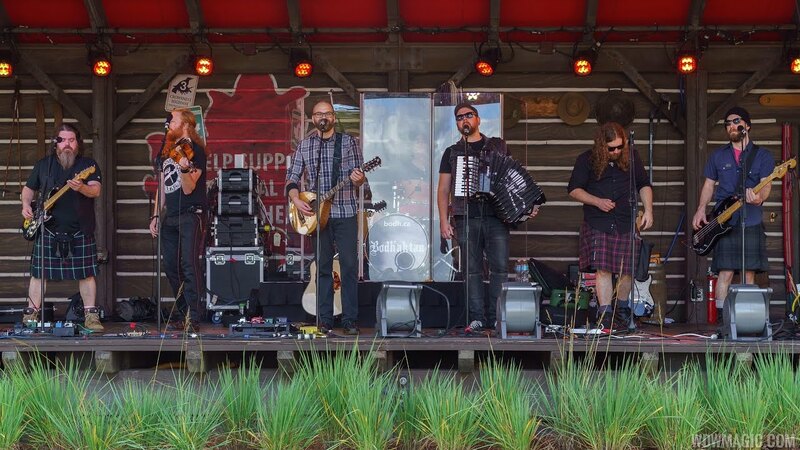 Bodh’aktan’s music combines elements of celtic, trad-Quebecois, polka, punk, Irish folk, Breton and Maritime. The group will be appearing for a limited time - 20 days in October 2016, followed by another 20 days in January 2017. Current band Alberta Bound will have their last performance for this engagement on October 2, with Bodh’aktan set to debut a week later. This latest group continues Epcot's new direction of regularly rotating live entertainment, and bringing in outside acts instead of creating in-house bands.